Mostly Incredibar adware/spyware removed, but it showed as a running process earlier. The culprit perhaps? My computer is still running slow. Takes me about 10-15 minutes to boot my computer. Launching programs/executions or just surfing through websites still takes a while to load. Anyway, this is the log. Don't notice any startups that might be involved. 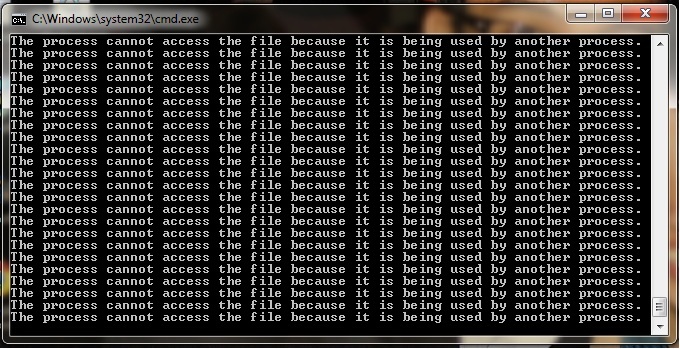 Maybe the file system is corrupted. It will likely find volumes in use and ask if you want it to run on reboot - select Y for yes. Then type exit and press Enter to close the command window. You can find the logfile at C:\AdwCleaner[S1].txt. Open AdwCleaner, and click the Uninstall button to have it remove itself. 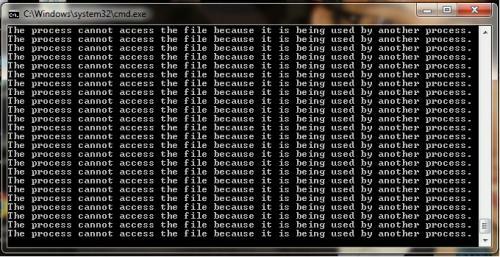 That AdwCleaner reboot will serve to run chkdsk as well. Did checkdisk. Deleted a corrupt attribute list entry. Found some file record segments which are unreadable. Deleted invalid filenames. Corrected some minor file name errors. MS's Fixit's for some reason often don't work on Registry changes, and it takes manual changes to make the corrections. Be sure to reboot after, and try an update again. Yes. My computer's speed is way better after the checkdisk. Followed the steps in the Microsoft page however the values below weren't there for me to delete. Tried to update anyhow, but the Code 8000FFFF still appears. Just to check, the steps provided in Microsoft mentioned it is for Windows Vista based computers (mine is Windows 7). And my error code differs slightly: 8000FFFF as compared to 0x80000FFFF. Just checking.. could be the same anyway right? Yes, 0x prefix is just a more exact term. I sense this is a different Registry entry, but I can't recall off the top of my head the exact location. It has to do with an Automatic Updates entry(ies) in the Registry, or the fact that the registry is preset to contact only one update site, which may be unavailable. It will take me until tomorrow to really nail this down. No problem. Will hear from you tomorrow. By the way, thank you so much for your kind assistance thus far. Open Notepad (Start Search, type notepad and press Enter). Copy/paste the above text (inside the Code box) into the open Notepad text box, then save this to your desktop as "reg.bat"
Be sure to include the "" quotes in the name. Then click on reg.bat. When the scan completes a textbox will open - copy/paste those contents back here please. Got the error messages as attached. Is it due to the unsuccessful windows updates that are trying to install every time I shutdown/restart my computer? I'm still having the problem that windows is reconfiguring and trying to install the unsuccessful updates each time I shutdown/restart or boot my computer. I'm really not sure what caused that. Go HERE and download CAT – Crisis Aversion Tool, then click that cat.exe to run the tool. Another window will open periodically as the scan makes the permissions changes. This can take quite some time. When it is done X out of CAT, close the log it opens and reboot. For now just try to update Windows the usual way, and post back an update. Reboot, then try to update. Rebooted, then tried to update again. Unfortunately, still getting the same error code 8000FFFF. Checking for subinacl utility... Unable to locate. Extracting... Extraction Successful. Reading existing permissions for HKEY_LOCAL_MACHINE... Done. One or more errors occurred. Log saved. Reading existing permissions for HKEY_CURRENT_USER... Done. One or more errors occurred. Log saved. Reading existing permissions for HKEY_CLASSES_ROOT... Done. One or more errors occurred. Log saved. Reading existing permissions for "C:\"... Done. One or more errors occurred. Log saved. Resetting permissions for HKEY_LOCAL_MACHINE... Done. Resetting permissions for HKEY_CURRENT_USER... Done. Resetting permissions for HKEY_CLASSES_ROOT... Done. Resetting permissions for the system drive... Done. Setting service "bits" start mode to: "Automatic"... Already set to correct state. Setting service "wuauserv" start mode to: "Automatic"... Already set to correct state. Setting service "cryptsvc" start mode to: "Automatic"... Already set to correct state. Registering initpki.dll (this one usually takes a while)... Success. Deleting registry key "HKEY_CURRENT_USER\Software\Microsoft\Windows\CurrentVersion\Group Policy Objects\LocalUser\Software\Microsoft\Windows\CurrentVersion\Policies\WindowsUpdate\DisableWindowsUpdateAccess"... Key/Value does not exist. Deleting registry key "HKEY_CURRENT_USER\Software\Microsoft\Windows\CurrentVersion\Policies\ExplorerNoWindowsUpdate"... Key/Value does not exist. Deleting registry key "HKEY_LOCAL_MACHINE\Software\Microsoft\Windows\CurrentVersion\Policies\ExplorerNoWindowsUpdate"... Key/Value does not exist. Deleting registry key "HKEY_LOCAL_MACHINE\Software\Policies\Microsoft\Windows\WindowsUpdate"... Key/Value does not exist. Deleting registry key "HKEY_CURRENT_USER\Software\Microsoft\Windows\CurrentVersion\Policies\WindowsUpdate"... Key/Value does not exist. Deleting registry key "HKEY_CURRENT_USER\Software\Microsoft\Windows\CurrentVersion\Policies\ExplorerNoDevMgrUpdate"... Key/Value does not exist. Deleting registry key "HKEY_CURRENT_USER\Software\Microsoft\Windows\CurrentVersion\Policies\WindowsUpdateDisableWindowsUpdateAccess"... Key/Value does not exist. Writing to registry: "HKEY_CURRENT_USER\Software\Microsoft\Internet Explorer\MainNoUpdateCheck"... Successful. Writing to registry: "HKEY_LOCAL_MACHINE\SOFTWARE\Policies\Microsoft\Windows\WindowsUpdate\AUNoAutoUpdate"... Successful. Writing to registry: "HKEY_LOCAL_MACHINE\SOFTWARE\Policies\Microsoft\Windows\WindowsUpdate\AUAUOptions"... Successful. Writing to registry: "HKEY_LOCAL_MACHINE\SOFTWARE\Policies\Microsoft\Windows\WindowsUpdate\AUScheduledInstallDay"... Successful. Writing to registry: "HKEY_LOCAL_MACHINE\SOFTWARE\Policies\Microsoft\Windows\WindowsUpdate\AUScheduledInstallTime"... Successful. Writing to registry: "HKEY_LOCAL_MACHINE\SOFTWARE\Policies\Microsoft\Windows\WindowsUpdate\AUNoAutoRebootWithLoggedOnUsers"... Successful. Writing to registry: "HKEY_LOCAL_MACHINE\SOFTWARE\Microsoft\Windows\CurrentVersion\WindowsUpdate\Auto UpdateNoAutoUpdate"... Successful. Writing to registry: "HKEY_LOCAL_MACHINE\SOFTWARE\Microsoft\Windows\CurrentVersion\WindowsUpdate\Auto UpdateAUOptions"... Successful. Writing to registry: "HKEY_LOCAL_MACHINE\SOFTWARE\Microsoft\Windows\CurrentVersion\WindowsUpdate\Auto UpdateScheduledInstallDay"... Successful. Writing to registry: "HKEY_LOCAL_MACHINE\SOFTWARE\Microsoft\Windows\CurrentVersion\WindowsUpdate\Auto UpdateScheduledInstallTime"... Successful. Writing to registry: "HKEY_LOCAL_MACHINE\SOFTWARE\Microsoft\Windows\CurrentVersion\WindowsUpdate\Auto UpdateNoAutoRebootWithLoggedOnUsers"... Successful. Deleting registry key "HKEY_LOCAL_MACHINE\SOFTWARE\Microsoft\Windows\CurrentVersion\WindowsUpdate\Auto UpdateLastWaitTimeout"... Key/Value does not exist. Deleting registry key "HKEY_LOCAL_MACHINE\SOFTWARE\Microsoft\Windows\CurrentVersion\WindowsUpdate\Auto UpdateDetectionStartTime"... Key/Value does not exist. Deleting registry key "HKEY_LOCAL_MACHINE\SOFTWARE\Microsoft\Windows\CurrentVersion\WindowsUpdate\Auto UpdateNextDetectionTime"... Key/Value does not exist. Deleting registry key "HKEY_LOCAL_MACHINE\SOFTWARE\Microsoft\Windows\CurrentVersion\WindowsUpdate\Auto UpdateScheduledInstallDate"... Key/Value does not exist. Setting service "RpCss" start mode to: "Automatic"... Already set to correct state. Setting service "DcomLaunch" start mode to: "Automatic"... Already set to correct state. Setting service "EventSystem" start mode to: "Automatic"... Already set to correct state. Click here and download and run the MS Fixit. Reboot, then try updating again. After the Microsoft FixIt, I rebooted. But still the same error while trying to update Windows. Should I try installing the Windows Service Pack (which failed to install previously) that you've asked me to install in the earlier posts?